Antifa is a acronym for anti fascist. Its a group that is made up of liberal snowflakes. This is the group doing all the riots and looting in the US. This group is a anti white anti trump and anti conservative and least to say anti anything that is against the liberal views. Like the liberals in this forum they hide behind masks and talk big. Up front they are just a punch of spineless punks who still live with their parents. Democrats dragging feet's at the government. Liberals media spreading fake news. BLM and Antifa doing looting and attacking people on the streets. ANTIFA ATTACKING PEOPLE FOR EXERCISING THEIR RIGHT TO PROTEST AND FREE SPEECH. WON'T be surprise of Sarem Chuuk or Factsmatter or nesian691 and ina Chok and SakaSaka or Lihndanpei are members of Antifa. Not interested but here you are commenting in a post you are not interested in.....wow. @nesian691 you are behind current events sweetheart. 2months ago Trumps 2005 tax returns were leaked to the media and it showed that President Donald Trump paid more in taxes and at a higher rate than Barack Obama, Bernie Sanders, and Mitt Romney. MSNBC host Rachel Maddow broke the news of Trump's taxes on Tuesday night, but the numbers were not what the liberal personality was expecting. The returns show that the President payed approximately $38 million in taxes on $150 million in earnings, equating to a federal tax rate of 25%. In 2015, President Obama paid roughly $80,000 in taxes on $436,000, resulting in a tax rate of just 18.7%, according to the Washington Times. In 2014, Senator Sanders paid just $27,653 to the treasury on his joint income of $205,271, equating to a tax rate of only 13.5%. In 2012, Republican nominee Mitt Romney paid $1.9 million in taxes on earnings of over $13 million; an effective rate of 14.1%. When are you liberals in this forum going to start the micsem/Micronesian chapter of Antifa? What will be the platform? Who will be the Chapter President? Factsmatter or SakaSaka? Will Sarem Chuuk be the voice of disaffected Jews for Antifa? Lihndanpei the voice of women for Antifa? Nesian691 for the LGBT community? Will you guys be wearing masks? Lol@ PS...sadly and pathetically trying to stay relevant. More kool aid buddy? Antifa so called freedom fighters wear masks to hide their faces. Remind me of ISIS and Nazi Skinheads. 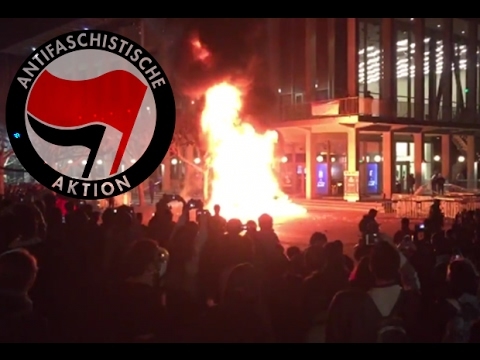 Antifa burning American flag yet they dont move to Venezuela which is a country they want to US to be like. Berkeley Antifa burning cars and rioting in Berkeley college to intimate others from using free speech. 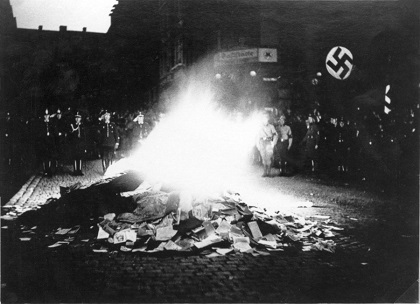 Nazis in Germany 1934 burning books to limit the freedom of speech to those they didn't agree with. Similar tactics being used by liberals/Antifa. I comment for the sake of commenting. I signed up on Micsem years ago just because I like commenting...especially none sense issues like jokes. I sure miss my buddies who used to post a lot of jokes. PC, Ninsei, Reject....now that there are no Jokes, I guess your threads are the second best to post none sense on. Because really your threads are none sense. @Ina Chok, i inform the mass to the fakeness of the liberal agenda. Im not biased I've also posted discussions that are not in favor of Trump and Republicans. When I see wrong doing by my fellow conservatives I post it I dont act like it didn't happen. Therein lays the difference between me and the liberals in here and liberals worldwide. Liberal...Conservatives....Last I checked those two parties don't exist within the FSM Political system. With that said, I have had enough time wasted on your stupid threads. I'm sticking to the island issues. So long Pawnshop! Saka, kapongs to you's and all in Texas. Make sure you cheer for the Cavs, okay? Go Cavs!!! @Ina Chok , smart move to run away. Stick to island issues and leave real world politics to the big boys. If that's the way you see it, Mr. Copy and Paste other people's research and reports on foreign politics (Hahahaha) Then so be it. Same arguement another different user said to me a few months back. hahahahaa....leave US issues on AMERICA Forum. ...missing 'em jokes, Ina Chok. Pwan ina fokkun niwin ngonuk ena kapwong non nimenimoch...ooo Sinbad. Lol... I didn't see the tag here and fairly sure this thread should be flagged for being nonsensical and childish. So we shut you down, deal with it. Can't cry over spilled milk for a whole year. Move on! Just watched ex-CIA director John Brennan testify on CSPAN. And here is a update for the snowflakes who are "resisting" . (1) Brennan testified that trump didn't force nor told him to stop investigating the Russian/ Trump conspiracy witch hunt. (2) The leaks that are happening are a threat to US National Security and should be invesritated. These leaks all stem from the Obama administration. This is the second man from the previous administration that have swore under oath that no obstruction of justice was committed by Trump. The first was fired FBI director James Comey. I hope you guys are taking notes because the entire Russian/Trump hacking connection is 2/3 in the toilet already. This message was brought to you by MAGA daily news. 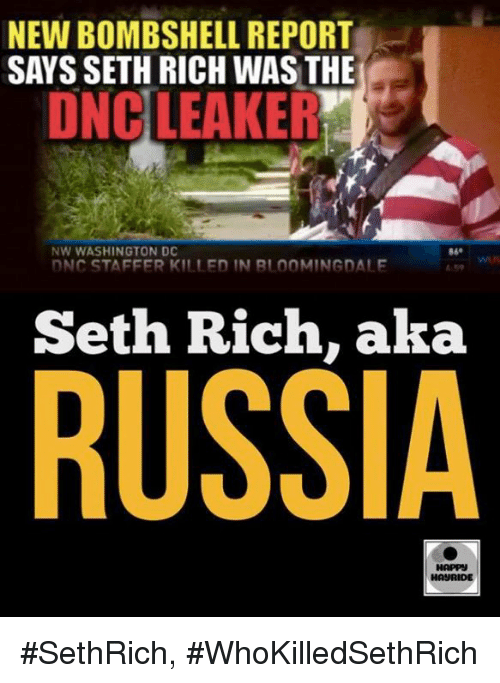 @PawNStaR what does Brennan have to do with Seth Rich?? Get that fake MAGA NEWS outta here. "During a House Intelligence Committee Hearing on Tuesday, former CIA Director John Brennan confirmed he’s aware of communications between the Trump campaign and Russian officials that sparked concern about possible collusion. That “information and intelligence,” Brennan added, led to the FBI’s counterintelligence probe of the Trump campaign, which began in July 2016." I watched the entire hearing on CSPAN and the major takeaway were, CIA/FBI/DIA all have seen no evidences of collusion or Russian hacking. And he said individuals in Trumps campaign not Trump himself. Hahaha. Lets not forger trump is not under investigation, those connected to him are.